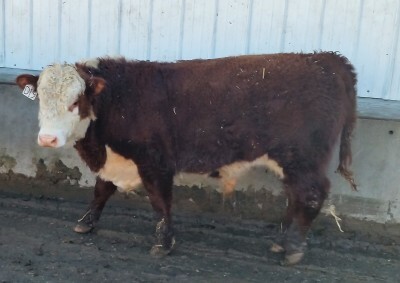 ​This is SWEET TAMMY'S first calf which resulted from AI. He had an easy birth and is headed to do clean up on heifers we are breeding in 2017. His EPDs are in the top 5% or better for CE, MCE, UDDR, TEAT, SC, FAT, BMI$, CEZ$, BII$, and CHB$. He is in the top 10% for BW and YW. This fellow represents a nearly complete package.